Everyone has heard about blockchain in one way or another, Bitcoin being the most familiar representation of it. At its most basic level, blockchain is a general ledger that allows for complete transparency and accountability throughout the entire process of a transaction, whether it is a bitcoin, a widget or virtually any other type of communication. It allows everyone involved in the chain to collectively participate accurately and efficiently with no surprises. 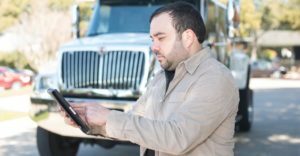 When it comes to the transportation industry, we have been historically relying on electronic data interchange (EDI) standards. But the reality is that EDI is quite archaic. One significant issue with EDI, when compared to blockchain, is that EDI transaction standards differ from shipper to shipper and carrier to carrier. As a result, a user of EDI must adhere to many different customized “EDI standards.” In addition, EDI interfaces are very specific — if you are off one single character or line of code, the EDI transaction will fail — causing significant heartburn on both sides of the transaction. More specifically, once a load is tendered it could go through multiple systems, being continually modified for different “standards” before a rate is agreed upon or the load is formally accepted. In short, the original EDI transmission can be edited throughout the transaction allowing for the potential of errors, duplication or perhaps even ill intent. The end result is that once the EDI is transmitted, you lose all visibility as it passes between systems until it ultimately comes back as an invoice or bill. With blockchain, the original information (block) stays intact and it cannot be changed. As additional blocks are added to the chain, or as the block passes through multiple systems, all participants can reference the initial block, and all subsequently added blocks. The blocks are constantly evaluated to ensure that they are intact, allowing for complete visibility and accountability throughout the transaction. This process eliminates interpretation by a carrier, shipper or a customer. Currently, several companies are developing different blockchains to service very specific functions within the supply chain. Investigative alliances are also being formed, including one for the transportation industry — the Blockchain in Transportation Alliance (BiTA). BiTA is currently working to standardize a blockchain methodology, and set of simple contracts, that would be used industry-wide. People talk about blockchain as a disruptive technology. The reality is that it could help streamline everyone’s business. However, the disruption is going to be that many companies aren’t yet investigating it, don’t understand it or have not allocated funds for an investment in it. If a major customer (or competitor) elects to utilize blockchain, and you are not up-to-speed, you have the potential to lose that client to someone who is. Fleets need to start looking into blockchain, if they have not already done so, to get a basic understanding of it. Assign an internal champion to begin the process of finding out what your company needs to know. That doesn’t mean you necessarily have to start investing in it, but rather committing to an understanding of it. Fleets need to ensure that they are not left behind when the industry, or your client, accepts blockchain as the new standard.